Hardy's family said he was also "a meticulous linguist, a fine artist, a lover of music and a champion of literature, as well a highly respected historian, and a leading specialist on the longbow"
In this file photo, British actor Robert Hardy arrives in London's Leicester Square for the European Premiere of "Harry Potter and the Order of the Phoenix." 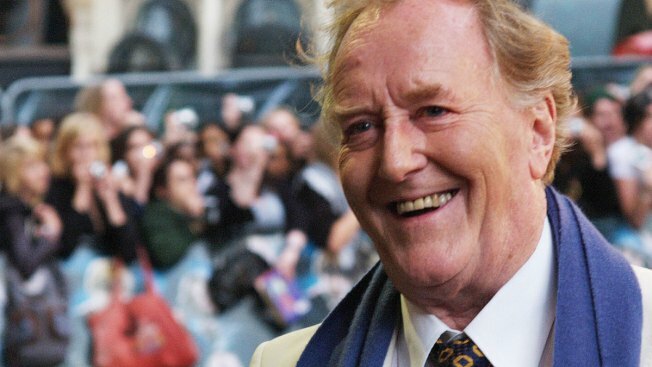 Robert Hardy, a veteran British stage and screen actor who played Minister for Magic Cornelius Fudge in the "Harry Potter" movies, has died at 91. His family says Hardy died Thursday. Born in 1925, Hardy began his career in Shakespearean roles onstage in Stratford-upon-Avon in the years after World War II. He played avuncular veterinarian Siegfried Farnon in TV drama "All Creatures Great and Small" between 1978 and 1990, and portrayed British Prime Minister Winston Churchill onscreen half a dozen times. In a statement Thursday, Hardy's family said he was also "a meticulous linguist, a fine artist, a lover of music and a champion of literature, as well a highly respected historian, and a leading specialist on the longbow." Hardy is survived by his children Paul, Justine and Emma.